If you’re looking for the best compass watch, then it’s high time you cut to the chase. It’s a daunting task to choose which brand and model is actually the most superior. That’s if you do not have the right information and basis for your selection. Are you ready to take the challenge and choose the best among today’s innovative and top of the line compass watches? See which of our top picks matches your lifestyle and need for the best heavy-duty timepiece. The innovative timepiece with compass features should pass the stringent requirements and standards in terms of performance. In fact, you will know if it is worth your money based on its overall performance on the field, under numerous conditions. Which of our timepieces makes it on top of the scale for performance? Timex Expedition Compass Watch. This imported compass watch is designed for the harshest of outdoor conditions. In fact, it passes the outdoor torture tests. The superior performance of the timepiece with compass features is attributed to a lot of factors. Mainly, it is shock resistant to industry standards. It performs well under low light conditions with its indigo night-light design. Casio Pathfinder for Men. The solar-powered compass watch is fully loaded with numerous features that boost its performance in the outdoors. It highlights the triple sensor design. The watch is complete with a barometer, altimeter, thermometer, and the compass data. You can rely on its unfaltering performance through its low-temperature resistance design. It works even after dark with its after-glow backlight. Suunto Core. The compass timepiece is one of the most advanced in its niche with the altimeter tracker in vertical movement. The barometer and compass points are integrated designs of this innovative piece. The compass watch has diverse features that track both the sun and weather for you. It has a stylish look with variations to choose from to match your lifestyle and personality. The timepiece is waterproof and shockproof. Suunto Core. There are notably strong and durable features for this timepiece. The watch head is durable and could resist scratches, shocks, and exposure to the elements. However, there are also issues when it comes to the watch band which for some users is quite fragile and may result to cracks, drying, and rotting when used for a long time. Casio Pathfinder for Men. This tough solar power compass watch is one of the selections in the brand’s Pathfinder series. 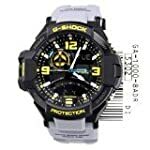 It boasts of the water resistant and shockproof design of the timepiece. The 51mm stainless steel case features the mineral dial window and titanium bracelet. It showcases the fold-over double-locking clasp to keep the timepiece in place no matter how extreme your outdoor activities may be. Timex Expedition Compass Watch. One of the top features of this compass watch is that it is downright tough and durable. You can beat it at work, dunk it in the water, jar, bump, or bang it and it stays strong and without any signs of wear. The timepiece highlights the durable resin case with buckle-closure strap. Made from high quality lightweight materials, the compass watch is shockproof and waterproof. That’s why it is an ideal watch for marine activities, scuba diving, and other serious water sports. Compass watches have more or less the same designs, features, qualities, and overall performance. One of the criteria that set them apart is their price tag. Take note that it is important to choose a reasonably priced timepiece without necessarily compromising the quality. Cheaper watches do not mean they are better because some may sacrifice their quality in the long haul. Practicality should also consider the overall quality of the timepiece. Which of our picks is the complete package? Timex Expedition Compass Watch. The cheapest in our list is this compass watch with digital, anti-shock design. It is definitely a good pick if you want something more affordable but with the same fully loaded designs and features in your timepiece. Various users commend the Timex compass watch for its great value for your money. Casio Pathfinder for Men. Our mid-range timepiece in the price scale is this Casio timepiece. With such a competitive price, the compass tripe-sensor watch with titanium bracelet and stainless steel case is a good catch. With all its high end materials and the latest design, this watch is quite the complete package for quality and cost effectiveness. It has durable designs and quality materials that will last for years, despite being exposed to outdoor environment and condition. Suunto Core. This brand is on top of the scale when it comes to its price tag. The high end watch is full-packed with innovative technology and the latest design. The compass watch is a full-pledged tracker that monitors the weather and your direction through the sun. It is also a wrist-top computer that offers vital data from a barometer, altimeter, depth meter, and compass in one. You definitely get what you paid for and even more. See this video for the un-boxing of the Timex Expedition and see up close how it looks and works with initial use. The video review talks about the basic functions of the timepiece and its comparison with other compass watches in the same price category. There are also comprehensive videos about the Suunto Core and Casio Pathfinder PAG240T-7CR. Choosing the best compass watch mainly depends on what you are looking for in a functional, high-performing, innovative timepiece. Compass watches are overflowing on the market with various brands and models emerging every now and then. Based on our chosen criteria and reviews, our favor for the top compass watch today goes to Casio Pathfinder for Men. The timepiece is a balance of quality and reasonable price in one amazing package. It highlights the most durable and resilient materials, making it a tough and heavy-duty timepiece for outdoor adventures. It also received the highest number of 5-star ratings on various online marketplaces. Find out more about innovative compass timepieces and check out other unbiased compass watch reviews. Make sure you also update your outdoor gear wardrobe and collection with the latest shoulder holster, ar 15 cleaning kit, and reloading scale.